SLeCAD in collaboration with the Sierra Leone Netherlands Business and Culture Council (SLNBCC) has ended an agriculture roundtable with the ministries of Agriculture and Fisheries. The purpose of the meeting was to engage various stakeholders in the agriculture sector and update them on current national and international projects. The meeting took place on 7th December, 2018. Among guests were members of SLeCAD, representatives of the World Bank, agriculture companies, SLNBCC members and representatives from NGOs. The participants received information from key players in the sector and were provided the platform to interact with them. From the discussions and the presentations two things were made clear. Firstly, that Sierra Leone has potential for great advancements in the agriculture sector. SLNBCC presented current trends and interests from the Dutch Market and highlighted some financial instruments available for Dutch companies that partner with Sierra Leonean companies or institutions. Cash crops such as coffee, cocoa and cashew have the potential of attracting Dutch importers if the yield and quality become more consistent. Secondly, private agriculture companies that have access to funding remains a major challenge in the sector. Although there are numerous opportunities, there seems to be constraints to meet the requirements. The programme coordinator of SCADeP, which is currently providing support to 60 Farmer Based Organizations (FBOs) and SMEs through the World Bank, stated that the criteria differs per group. For agribusinesses working without growers, it is important to be able to prove credibility; for example by providing a guarantee from a commercial bank. Furthermore, participants asked critical questions regarding government activities and support from the private sector. As access to finance is considered a key constraint, the question about current support the government provides to create an enabling environment was raised. 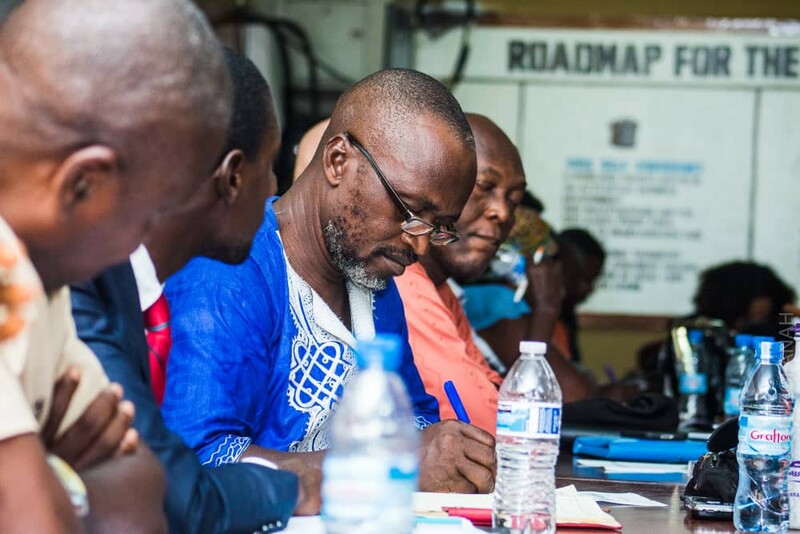 Although there was no encompassing answers to this question, Ahmed Nanoh from SLeCAD, called on the private sector to see past the challenges and focus on the Sierra Leonean context. He referred to the high rates of hunger and malnutrition in Sierra Leone; adding that 45% of children live in chronic hunger. He maintained that the private sector has a great role to play in changing these figures positively. He stated that social responsibility ties in as well with the efforts of the Dutch government to create favorable export environment in Sierra Leone. Funding is available for companies and institutions whose work is within the Social Development Goals (SDGs). The SLNBCC highlighted two funding opportunities: the DHI (feasibility, demonstration & investment preparation grant) and the Dutch Good Growth Fund (DGGF), for which a partnership with a Dutch institution is necessary requirement. Access to this market can be facilitated through SLNBCC membership. One of the participants made an appeal to all the participants to join SLeCAD and to also make active use of the expertise in the chamber. Collaboration, unification and partnerships are also of great importance in this ever-developing, widening and promising sector. Active participation in networks and membership with acclaimed institutions can not only benefit individuals, but the country as a whole as we see an improving business environment.